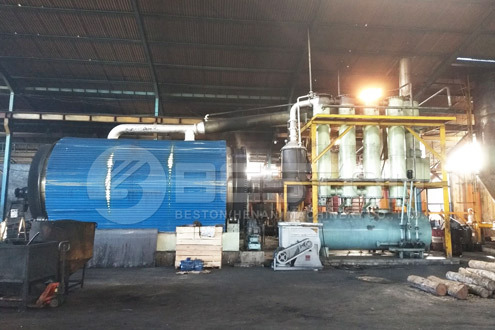 Beston tyre pyrolysis plant in Indonesia had been successfully installed this year. 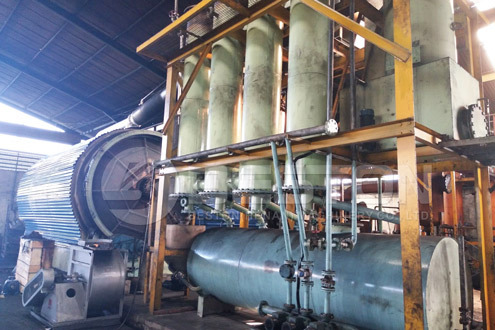 At present, this pyrolysis plant runs normally, and turns countless waste tyre to oil, carbon black and steel wire. 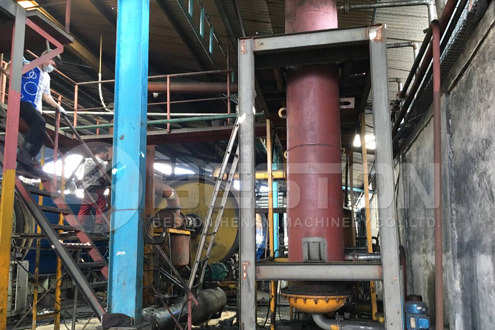 In Indonesia, how to handle waste tyre without pollution has been a concerned issue. Indonesia government pours a large amount of capital into waste management every year. 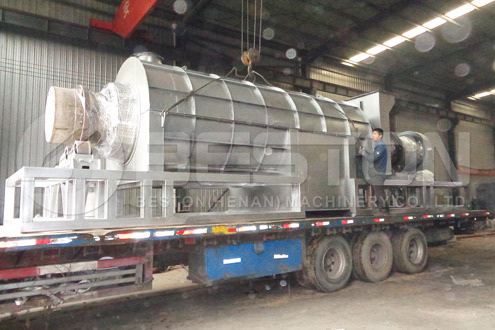 Beston pyrolysis machine is an effect way to deal with these waste. 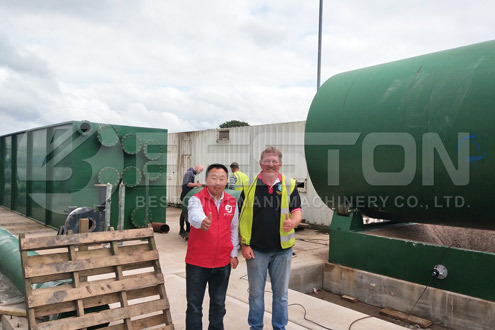 Our machine not only handle waste tyre but also dispose of waste plastic and rubber. 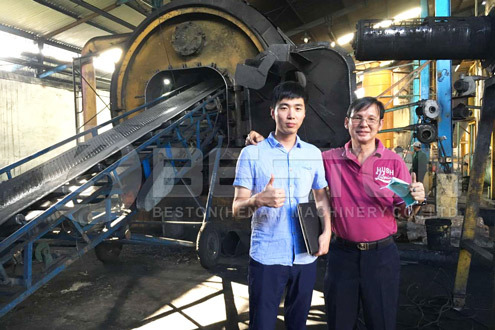 Finally, this customer chose Beston Group as his cooperative partner among numerous manufacturers online. 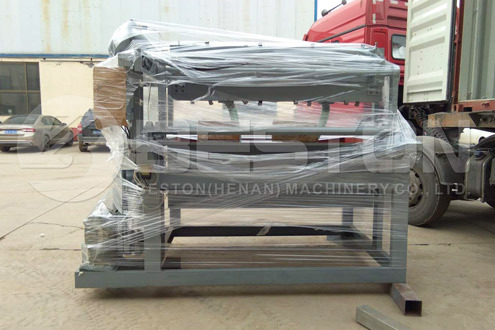 It is available for every customer to visit Beston headquarters and manufacturing plant! 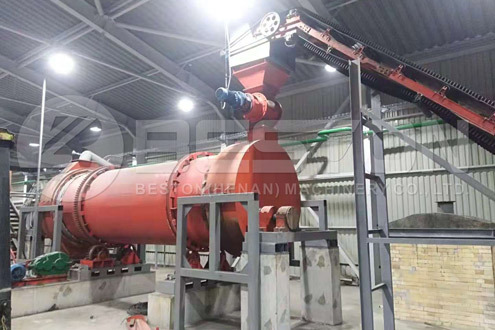 In fact, Beston Group also provides other waste to energy machine to handle waste in Indonesia, such as charcoal making machine and waste sorting machine. 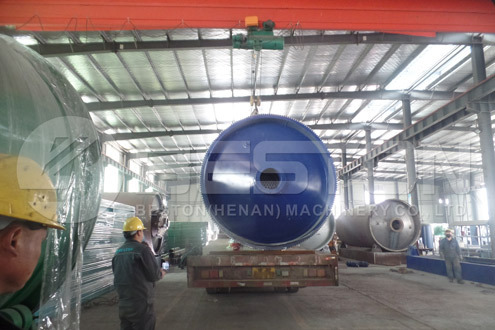 If you have such demand, consult us. We are willing to give some suggestions for you.